Biblio File: My Baby Needs a Place to Sleep! I've had to do some serious weeding to make room for our new family member. My loss is your gain! Every week (hopefully) I'll be giving away some of these books to a lucky reader. All you have to do is fill out the form below by midnight (Eastern time), February 20 (so you have until Sunday late night.) I'll use the random number generator to pick and entry and voila! 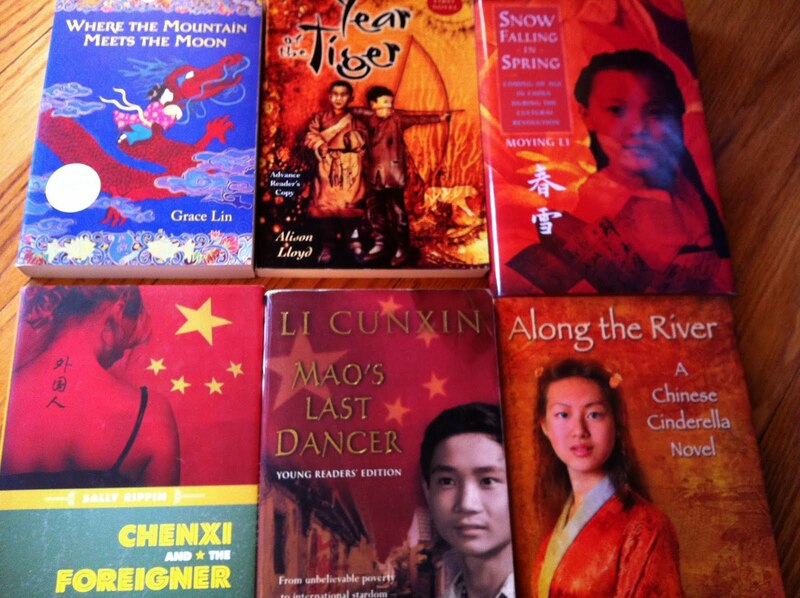 This week's prize pack has a China theme. 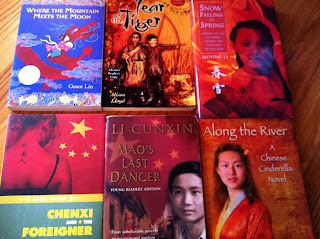 I found your blog via Library Thing as I had finished reading (amongst other things) Annie Wang's novel 'The People's Republic of Desire', and when I went to put a review of it on my books page, I saw that it had one review already - yours! I did agree with much of what you said in your review, it was very episodic. I have been coming back and forth to China since 1993 and have been living here in Beijing for nearly a year. I used to have a blog called Reading Ranting and Recipes for several years on Blogger, but as you may know, Blogger is blocked in China and I can only access it (and Facebook, Twitter etc) by using a VPN. So I started a new blog about living here. You can see it at http://herschelian.wordpress.com I'll be reading your blog regularly - as a voracious reader I love reviews - good and bad,and really enjoyed your style of writing. Thanks for sharing your books with us (literally) -looking forward to the upcoming week! Realized as I sent in my entry, it's too late. I will be on time time, next time, lol.